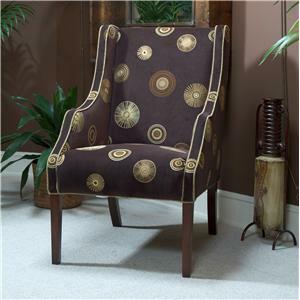 This beautiful chair is constructed with care in mind and will accent your home perfectly. The 027 Chair by Michael Thomas is available in the area from BigFurnitureWebsite. 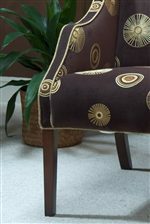 The 027 Chair is a uniquely design accent chair. It works well as an accent piece in any living room, bedroom, formal dining room, home office or sitting room. Luxurious lines will compliment any fabric you choose and with over 800 options, you are bound to find the right fit for you. Customize your home with this beautiful 027 Chair. The 027 collection is a great option if you are looking for Contemporary furniture in the area. Tapered wood legs and uniquely curved arms.